The Essentials offer the right vitamins, minerals, and antioxidants to support optimal cellular health. So, don't you want to support your body with the highest quality nutritional supplements available? The USANA Essentials are your answer. Taken together, the combination of AO Pro and Chelated Mineral offer a superior range of highly bioavailable vitamins, minerals, and antioxidant nutrients to build a strong foundation of exceptional health. The benefits of supplementation are substantial. But not all multivitamin/multi-mineral supplements are created equal. 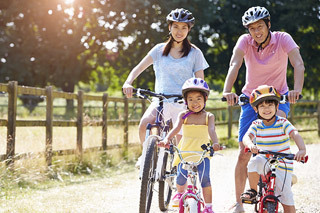 USANA produces the highest quality nutritional supplements in the world, and it's not just us saying it. 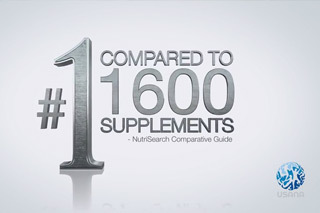 In the NutriSearch Comparative Guide to Nutritional Supplements, USANA's Essentials have repeatedly been awarded the highest distinction possible-the NutriSearch Gold Medal of Achievement™*-out of more than 1,600 other supplements. And USANA has also been selected as the publication's Editor's Choice since the distinction was introduced, proving USANA's Essentials are the best of the best. There's a reason we win awards left and right. The right balance - Our in-house scientists understand which nutrients synergize with other nutrients to boost their respective effectiveness. Their expertise helps create nutrient combinations that work together to supply your body with comprehensive nutrition. Give your cells the nutrition they need, and don't compromise-choose the Essentials. They're more than just supplements-they're your way to take your health into your hands.